Check out the Op-Ed on the New Mexican’s website here. We envision a New Mexico with safe walking paths and locally grown food available to everyone. We imagine a state where new policies help families make healthy choices, and elders share their cultural and traditional practices with children and their families. With a new grant and exciting collaboration — Healthy People-Healthy Places — we look forward to New Mexico increasing access to healthy food and improving community health through policies and environmental changes. Con Alma Health Foundation is one of 13 foundations in the country to receive this national Convergence Partnership Innovation Fund grant, which is bringing together partners across the state. To lead the effort, Con Alma has created a steering committee to identify and support specific strategies that make it easier for people to get healthy food and be active outside. That could involve zoning changes to make neighborhoods safe for outdoor recreation and policy changes that make it easier for people to get healthy food. Our next step is inviting people from various sectors, including representatives from local and state government, nonprofits and businesses, to meet and discuss ideas for launching Healthy People-Healthy Places. We hope that people who want to be more involved will join our advisory council to help guide this initiative. How might this affect you? Nonprofits in your community can apply for mini-grants this spring. We are looking for organizations that are working to improve community health through food systems, policies and built environments, such as access to recreational paths and parks. We want to support nonprofits that use innovative strategies to promote health equity. Health equity will be achieved when all of us have an equal chance at being healthy. Most importantly, these organizations must be striving toward creating systemic, long-lasting change. One of the reasons we’re excited about this project is the collaboration involved. Every initiative of Con Alma focuses on partnering with other organizations and avoiding duplication of efforts. On a national level, the Convergence Partnership is a collaboration of eight of the nation’s leading funders and the U.S. Centers for Disease Control and Prevention. Statewide, we’ve brought together several foundations that are matching the three-year $150,000 grant with another $155,000. Con Alma is contributing the remaining $145,000 for a total of $450,000 to be spent in New Mexico. 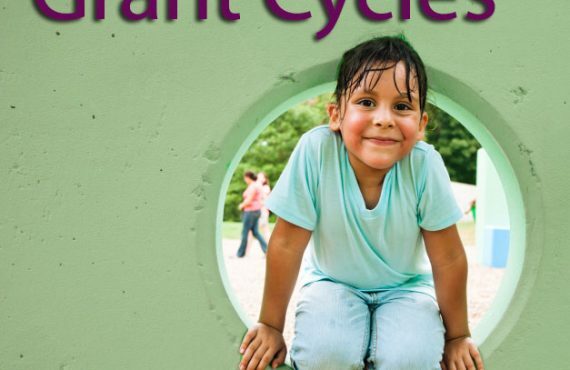 We appreciate the New Mexico foundations that are partnering with Con Alma in support of Healthy People-Healthy Places initiative: McCune Charitable Foundation, New Mexico Community Foundation, Notah Begay III Foundation, PNM Resources Foundation, Santa Fe Community Foundation and the Simon Charitable Foundation. Other partners, such as Farm to Table, are helping us work on the initiative. Farm to Table works with communities across rural New Mexico to create healthier food options, increase opportunities for safer and more accessible community-friendly spaces and unite their voices for policy change. Our goal is that we can all learn from one another and expand our understanding of achieving health equity together. For more information about Healthy People-Healthy Places, visit Con Alma Health Foundation’s website, www.conalma.org. Wanda Ross Padilla, Ph.D. is the secretary of the community advisory committee for the Con Alma Health Foundation.